The Spa Touch is a compact hot tub specially designed for you to enjoy a deeply relaxing couples hydromassage, although it can fit up to 3 people: two loungers and one seat. It is a reasonably-sized hot tub with 42 jets perfectly arranged to provide a flexible and complete treatment of every part of the body through its three different massage programs. The comfortable headrests in each of the positions make it even more relaxing. The Touch is great for anyone looking for a hot tub that offers great performance in a small space. 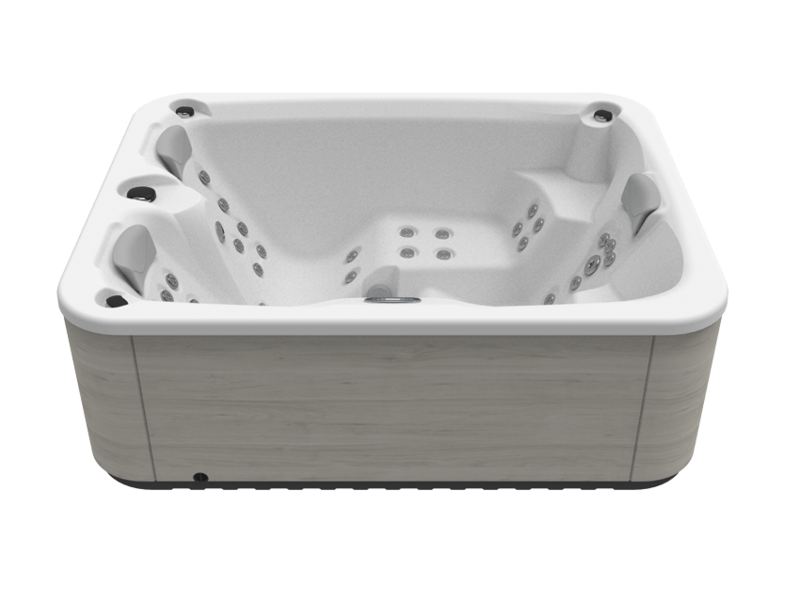 Just like the other models in the Aqualife range, this Aquavia Spa hydromassage tub was designed as a tool with great features and high efficiency. The Clean Water system efficiently keeps the water crystal clear by injecting ozone in the filtration process. 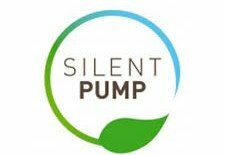 The acoustic impact of this is minimal thanks to the Silent Pump, which emits a maximum of 50 dB in full operation. Another great feature is the alternating colour LED spotlight that lets you adjust the atmosphere to your liking and enjoy the benefits of chromotherapy. 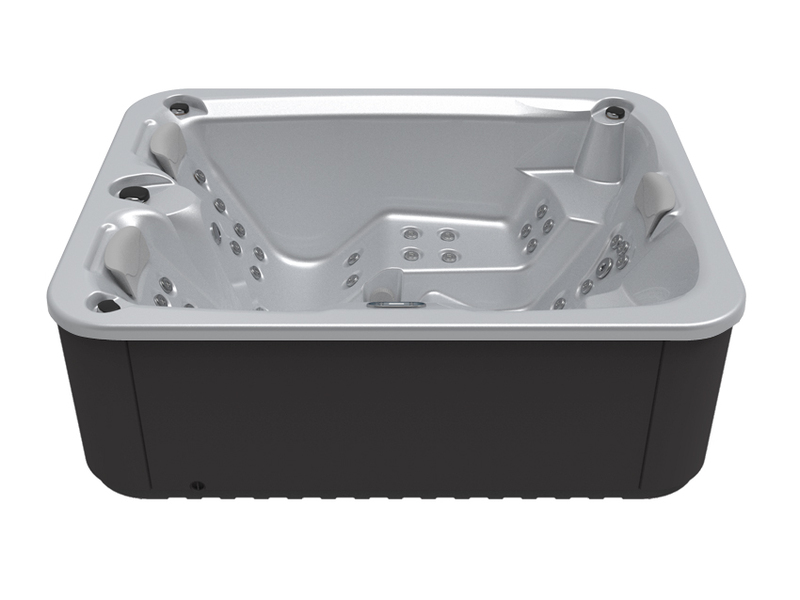 It can be combined with the optional Audio Bluetooth system to enjoy the best music controlled from your mobile device. 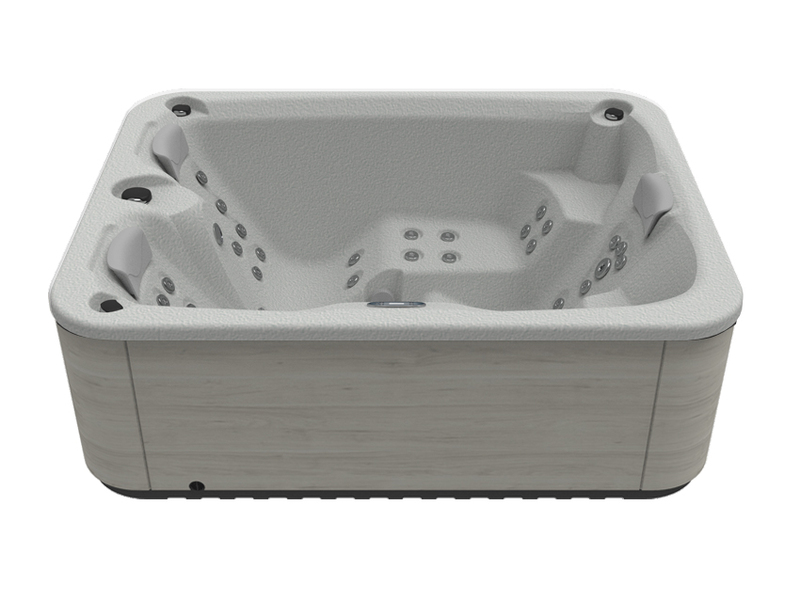 The right size is the best size, and that is just what you will get with the Spa Touch. 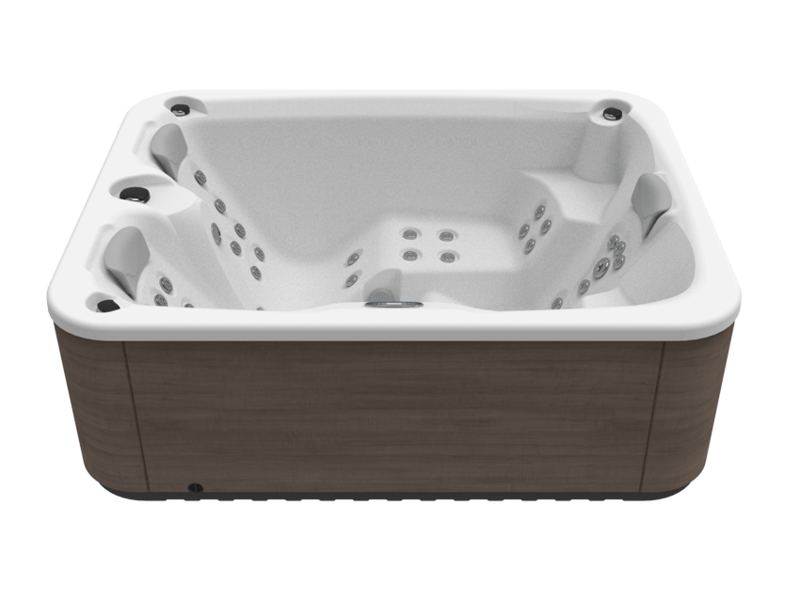 Its dimensions are perfect if you don’t want to waste any space or to avoid purchasing a hot tub that is bigger than you really need. 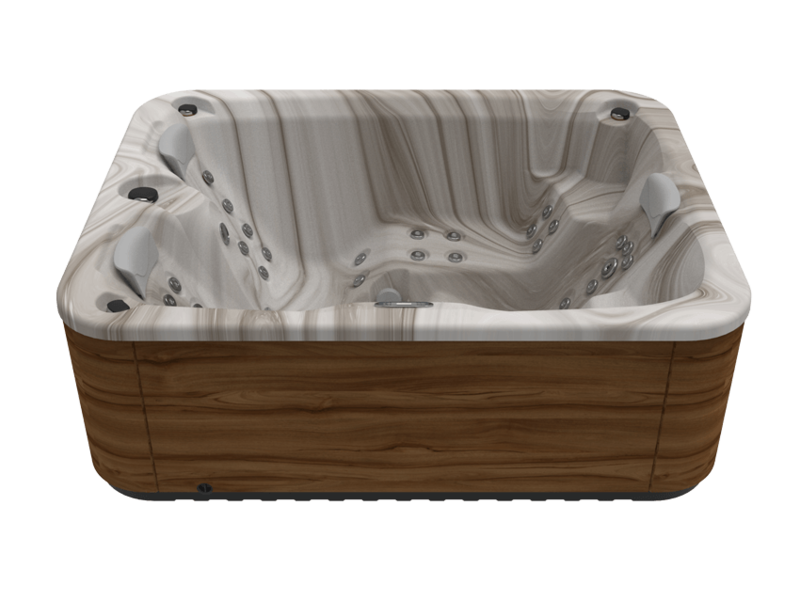 It’s the perfect size for couples seeking comfort and relaxation: in that case, it is better to choose a model with two loungers rather than one with more seats but no loungers. 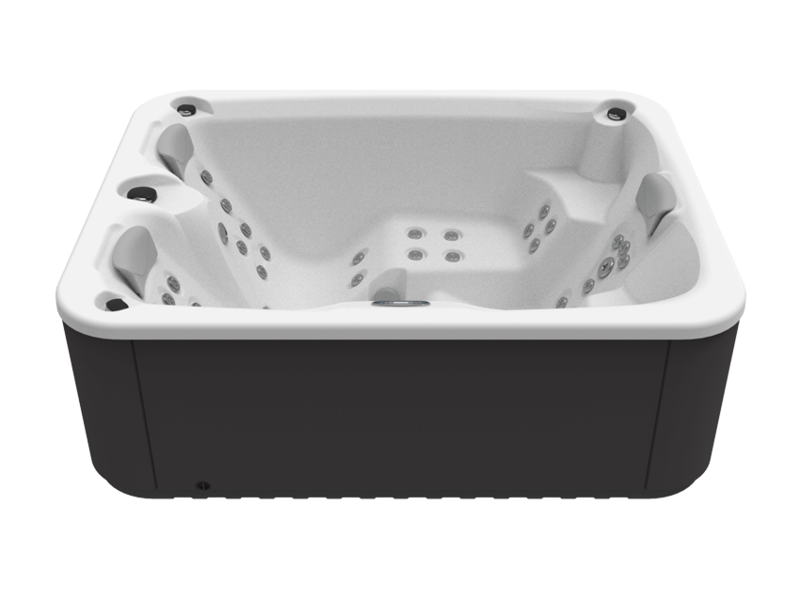 It also has just the right features if you’re looking for a practical and functional hot tub that runs smoothly. Get comfortable on the deep ergonomic loungers and activate the hydromassage jets to receive a stream of well-being on your back, legs and feet. Enjoy it alone or in good company. 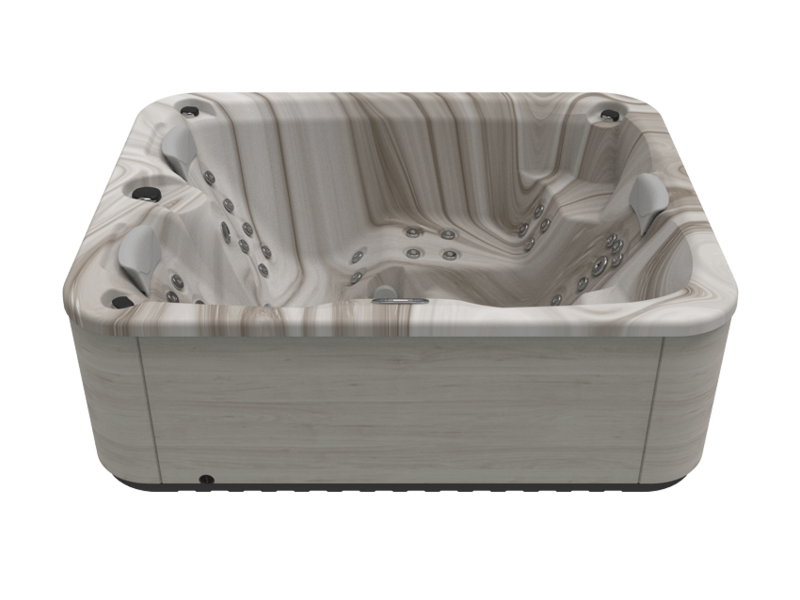 As you would expect, our Spa feature some of the worlds most technologically advanced features to ensure a special experience for the user. Select the perfect Spa colour to suit you.